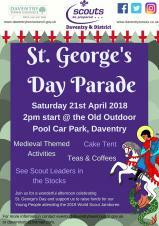 On Saturday 21st April 2018, St George's day Parade will return to Daventry Town Centre. Led by Daventry and District Scouts, in partnership with Daventry Town Council, the afternoon is packed with festivities to delight all ages. 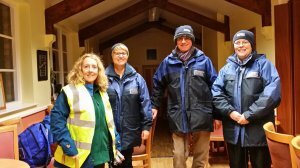 On Saturday 24th March 2018, Daventry Town Council Mayor and Chair of Council, Lynne Taylor, attended a street patrol in the town centre, along with the Daventry Street Pastors. 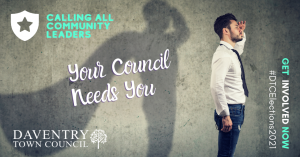 Interested in becoming a Daventry Town Councillor? 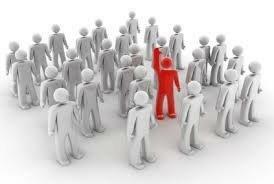 Interested in becoming a Daventry Town Councillor? Then read on. Daventry Town Council will be holding its elections on 3rd May 2018. Have you ever looked at the Town you live in and thought who manages your Town, who decides what the people want in your Town? 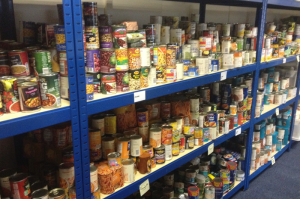 Daventry Town Council awarded a grant to the Daventry Food Bank, run by members of Vineyard Community Church, to assist with getting them up and running in their new premises before the end of March 2018. The £1,000 grant will enable Daventry Food Bank to carry out some of the essential repairs and building works to enable them to continue delivering their service to our community. 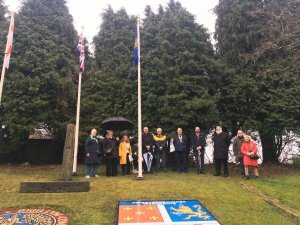 On Monday 12th March 2018, Daventry Town Mayor, Lynne Taylor, along with other members of the community, attended at the Twinning Garden, at the top of London Road, to raise the Commonwealth Flag. Nationally, and internationally, thousands of Commonwealth Flags were being raised at 10am in a shared celebration of this amazing family of nations that encompasses the globe. 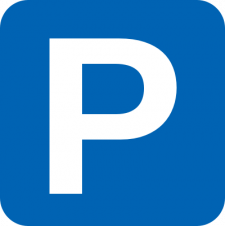 Daventry Town Council is keen to hear the views of residents and businesses in Daventry on parking in the Town centre. 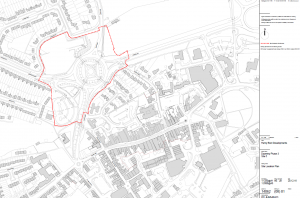 Daventry District Council Local Planning Authority is to give final approval to planning application DA/2017/0123 with regards to the construction of a new retail park in Daventry, which will involve demolishing the existing buildings and constructing new ones to include retail outlets, restaurants, a public house and a hotel, along with car parking, drain installation and landscaping works. 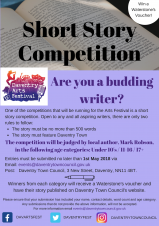 Daventry Town Council is running a Short Story Competition for the Arts Festival taking place this year. The competition will be judged by local author, Mark Robson, in the following categories: under 10's / 11- 16 / 17+. Daventry Town Council is pleased to announce the dates for this years' Arts Festival. 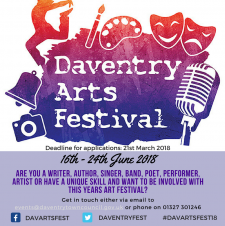 Running from 16th – 24th June 2018, it will be a vibrant and dynamic week celebrating the town of Daventry and playing host to a multitude of creative and entertaining performers, musicians, bands, poets and authors, to name but a few.